This card features a weave design in monochrome and gives your logo its very own bubble. Now, we’re not saying you need to read too much into symbolism… But this eftpos gift card is a great gift for a team player. The weaved pattern can represent cohesion and cooperation — perfect for someone who’s gone above and beyond for your team. Or the weave pattern can represent… You know, nothing at all. You don’t have to read too much into it because it can be whatever you like. 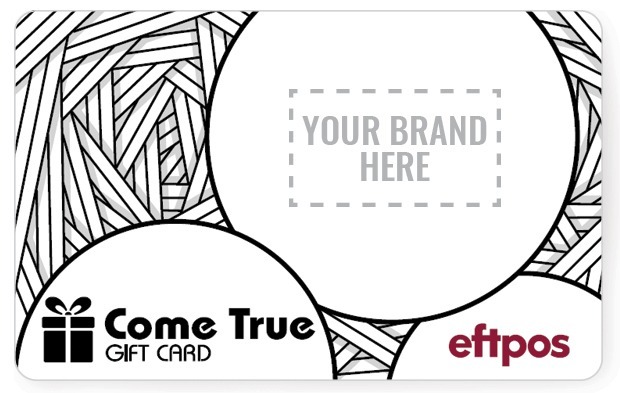 Part of the appeal of these co-branded eftpos gift cards is just that: you can get your own input into the cards by adding your own logo. This gives you the chance to go forth and create the most memorable reward for your recipients.